John Jay College of Criminal Justice admits graduate students on a rolling basis. Students can submit their application and all required documents as soon as possible to have their applications reviewed for admissions. Departments usually review applications completed up to one week after the posted deadline. Applicants must complete an Online Application. The online application can only be submitted successfully if it includes names of recommenders and a personal statement if required by the program. Applicants must submit a non-refundable application fee of $75.00 via online credit card from within the graduate application or in the form of a check or money order made payable to “John Jay College” (do not send cash). We do not currently have e-check payment available. The application fee is waived for John Jay College alumni or current students and for US Veterans or active armed service members. This courtesy is limited to one application fee waiver for John Jay Alumni. US Veterans and Active Service members must submit a copy of their DD-214 or proof of active service to the Admissions Office after submitting the application. A personal statement is required for most master’s and certificate programs. The Protection Management and Security Management degree programs do not currently require personal statements but if students have a GPA of less than 3.0 or relevant work or life experience, we recommend students provide one. This is the opportunity for applicants to demonstrate strong writing skills as well as provide additional details regarding their academic and/or professional accomplishments or challenges. 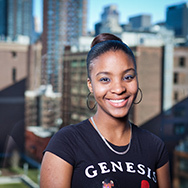 The personal statement should be approximately 500 words (1 to 2 pages) and describe how the applicant’s personal and/or professional goals can be achieved through graduate study at John Jay College. For those applying to MPA programs please use your personal statement to describe, in a well-developed essay of about 500 words, how your undergraduate studies; your volunteer, public, and military service, and your employment prepare you for study and future employment in fields of public service. Two or three academic or professional letters of recommendation are required for most of our master degree and advanced certificate programs. See program requirements for specifics here. The online submission of recommendation letters which can be found within the graduate application is strongly preferred. Students can include the email address of recommenders and a form (within the online application) will be sent. Recommenders can complete the electronic recommendation form and email it back into the application. If not completing the electronic recommendation, students must print the recommendation form from within the application, give it to the reference, and letters must be sent to Graduate admissions and include the appropriate recommendation form utilized by each graduate program. The recommendation forms can be accessed within the online application. Writing Sample The MA in International Crime & Justice program is the only program that currently requires a writing sample. A writing sample is a scholarly or educational paper that has been previously submitted for a college or university course or a scholarly journal article for publication. The writing sample should be 5 to 10 typed pages with references. Please upload the writing sample within the application, when prompted. The General GRE (Graduate Record Examination) is required for the Forensic Science, Forensic Psychology, Forensic Psychology and Law, Forensic Mental Health Counseling, and the Digital Forensics and Cybersecurity programs. Applicants with undergraduate grade point averages below 3.0 applying to other programs may wish to submit GRE scores to improve their admissions applications, but they are not required for any other programs. 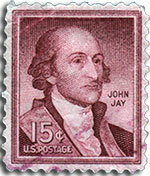 The GRE code number for John Jay College is 2115. If required, official standardized test score report(s) must be sent directly to the Office of Admissions directly from the testing agency. Students can also email an unofficial score to Grdauateadmissions@jjay.cuny.edu which can be used while the official score is being sent. For those applying to the MA/JD in Forensic Psychology program, LSAT scores may be submitted in lieu of the GRE. TOEFL or IELTS scores are required for students educated in countries where primary language is not English. See International Applicant instructions for specific scores required. All required application documents and fees must be received by the Office of Admission by the application deadline. The Fall deadline varies across programs. Only completed applications will be reviewed by the Admission Review Committee. Please plan accordingly.